Men and women have different views when it comes to defining toughness. While some believe men’s brute physical strength represents toughness, others believe that women’s resilience and emotional endurance are what being tough is all about. But when they are put up against one another, we have to ask, who is tougher? KIX, the ultimate destination for action entertainment, will find out as it brings back R U Tough Enough? for the third time! This year, the event aims to go beyond the stereotypes by recruiting 5 male and 5 female contestants to face off for a “Man versus Woman” edition. The contestants will go through a rigorous series of physically demanding and emotionally enduring challenges. Only one winner can be crowned as the Toughest Pinoy and walk away with the grand prize of PHP 250,000. Are men going to prove themselves as the tougher gender? Or are women going to finally break the stereotype? 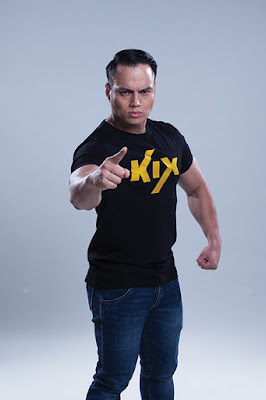 At the media launch, KIX announced that actress-turned-fitness trainer, Aubrey Miles and celebrated fitness guru, Arnold Aninion were chosen as the ambassadors to emphasize this year’s theme of “Man versus Woman”. The ambassadors will lead #TeamAubrey and #TeamArnold respectively in the challenge to determine which gender is the toughest. Aubrey Miles isn’t your typical model or actress. This girl is tough to the bone! Aubrey is the perfect embodiment of toughness and tenacity. She supported her family since she was a teenager, she fought through her life’s challenges and emerged as a tough actress and fitness advocate. “I’m very excited to be chosen as the first female ambassador for R U Tough Enough? Filipinos are tough, especially women, they never give up even get hit by all kinds of life adversities. Like me, I struggled to get my life back after giving birth and start everything over again by myself. 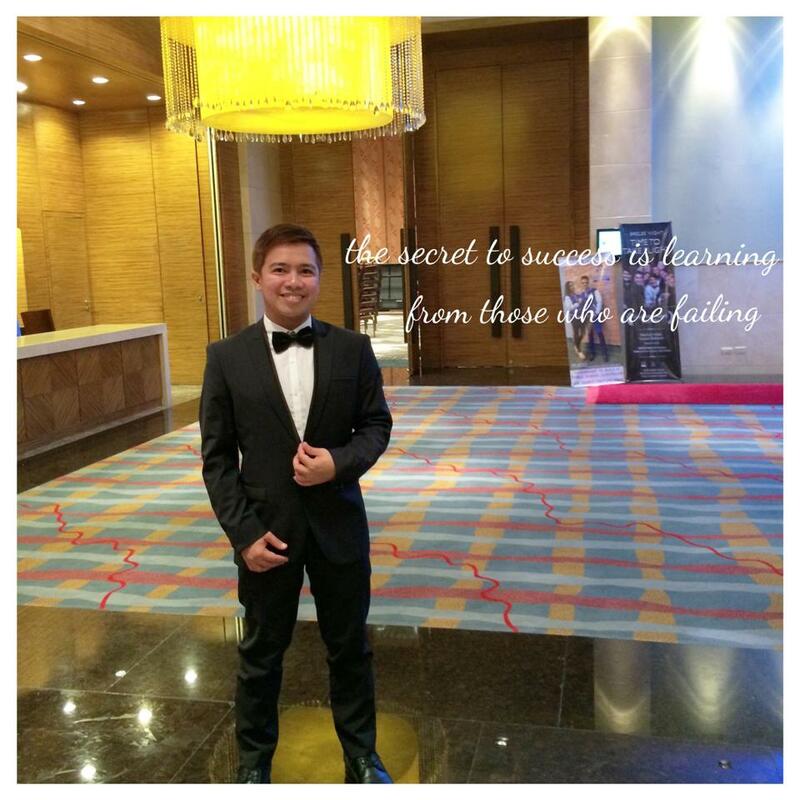 Everything that I have and where am at now is from my hard work and being tougher inside and outside. So I encourage my fellow Pinays out there to join R U Tough Enough? Let’s show them women are really tough,” said Aubrey. From being a national rugby player to a body builder, Arnold Aninion, has proven to be tough with countless hours of training and hard work throughout his years as a fitness enthusiast. “Being tough is a balance of being physically and mentally strong. I believe that we can accomplish anything if we just set our minds to it. Much like the Pinoy spirit. 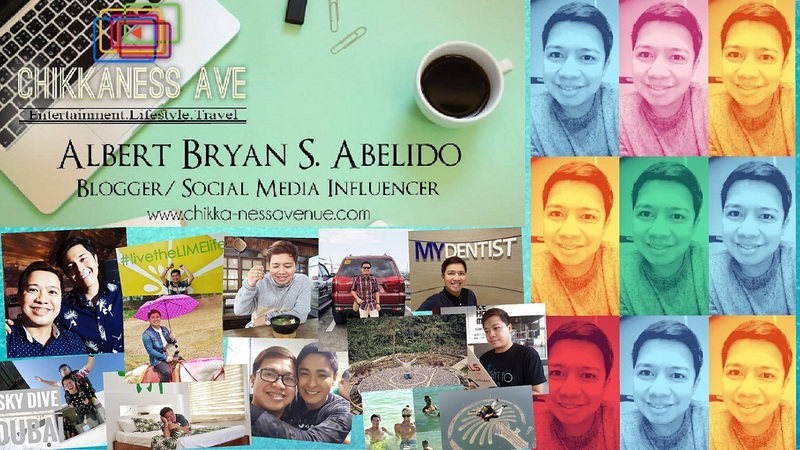 Pinoys are so resilient that we get up every time life brings us down. I challenge everyone to test your limits and join R U Tough Enough?,” said Arnold. “In this year’s R U Tough Enough?, we are excited to go beyond the stereotype that men are tougher than women with our very own battle of Man versus Woman. We’re sure that this will make for an enthralling competition, as we know that toughness isn’t limited to physical strength; it is also a test of mental endurance. And a big thank you to our sponsors and partners for supporting this program,” said Shirley Cheong, Executive Director of Marketing at KIX, Hong Kong. R U Tough Enough? 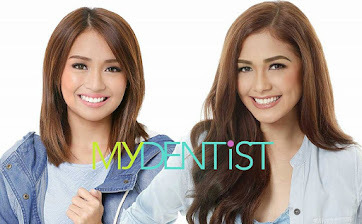 is open to all Philippine residents aged 18 and above. 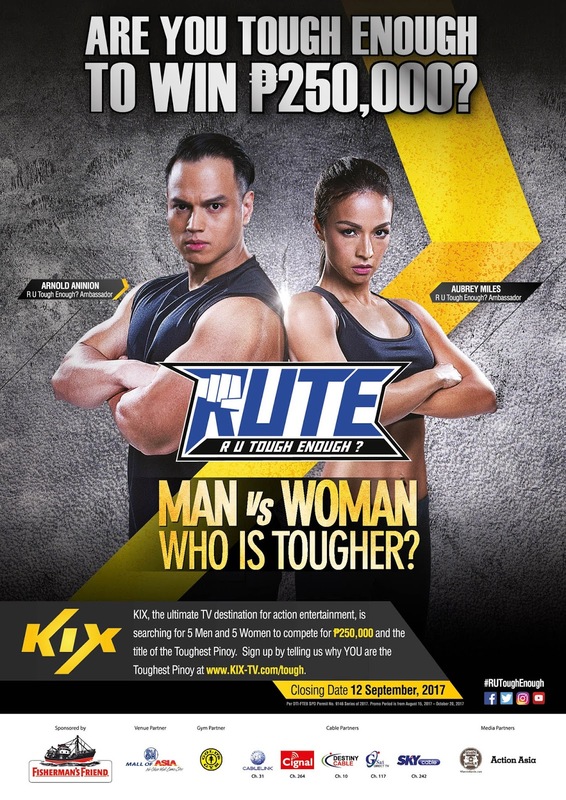 To enter the contest, participants must apply online and tell us why you are the Toughest Pinoy at www.KIX-TV.com/tough. Participants with the most inspiring stories will be called to an audition and only ten individuals will be shortlisted to compete at the final showdown and stand a chance to win the title of “The Toughest Pinoy” and a grand prize of P250,000. R U Tough Enough? Philippines is sponsored by Fisherman’s Friend, the strong adult candy with added benefits, supported by venue partner SM Mall of Asia, gym partner Gold’s Gym, as well as cable partners Cablelink, Cignal TV, Destiny Cable, Gsat and SKYcable; and media partners WhenInManila.com and Action Asia. More details including terms and conditions of the competition can also be found on the contest website www.KIX-TV.com/tough. Stay updated on the competition through KIX’s social media platforms, including Facebook: facebook.com/KIXAsia, Twitter: @KIXAsia, and Instagram: @KIXAsia. KIX is available on (Cablelink Ch. 31, Cignal TV Ch. 264, Destiny Cable Ch. 10, Gsat Ch. 117, and SKYcable Ch. 242). For more information, you can log on to www.KIX-TV.com.